Do I know any Ravelry editors? I’m thinking that somebody out there in Friends-List Land is probably a Ravelry editor… but I don’t know who. 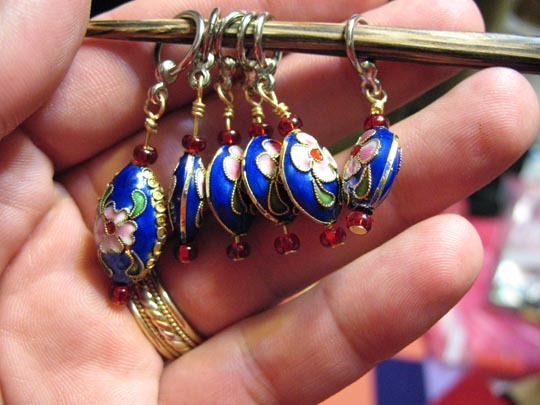 Somebody posted a link to my Stitch Marker Page. The Ravelry link is here. I’d really like to get it tied to my Ravelry profile. I’d also like to be able to add photos. But, I don’t know how to manage that. Anybody know the way to do this, or someone who could wave the magic wand for me? 0 0 Michael Michael2008-07-22 15:17:002008-07-22 15:17:00Do I know any Ravelry editors? 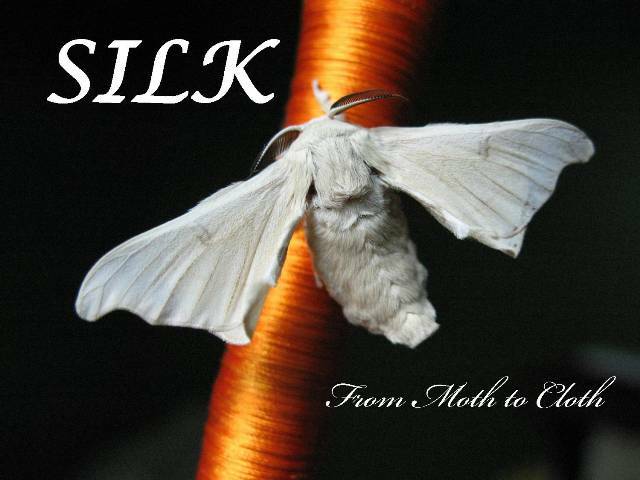 I’m doing a PowerPoint presentation on silk, which is something I’ve never done before – I usually just talk loud and wave my hands and pass around live insects. The live insects are demo rock-stars – everybody loves them. They rock the house. I have some experience with PowerPoint, but not much. I have a lot of experience giving presentations, just not with the projector part. This presentation is for a group of about 125 kids; they range in age from first grade to seventh grade. I’m mostly looking for input on things like type size, does it look too dark, should I use a different transition, that kind of thing. I haven’t yet talked my way through this completely, to see if it will really take up 30 minutes (I think they really want more like 25 minutes – they have to move the kids in and out). I will get to spend 20 minutes with each class separately later in the day, and show them things that they can touch and feel, and they get to take home cocoons and silk. The file is HERE. I know that it’s huge – don’t know if there’s an easy way to scrunch it down, without sacrificing image quality. Help with Naming a Class, Also, Ideas! I’ve been invited to teach at the Golden Gate Fiber Institute in Winter of 2009. The Institute is a joint venture of Judith McKenzie McCuin and Morgaine Wilder, and they’re setting up some seriously intense workshops. You can check their list of Summer 2008 classes for an idea of what caliber of instructors they’re getting; I’m honored and more than a little intimidated. Nancy Bush, Judith McKenzie McCuin, Sara Lamb… I haven’t seen the full list of instructors for the Winter session, but the names that Morgaine told me over the phone were similarly marvelous. I’m particularly looking forward to meeting Takako Ueki, proprietor of Habu – she and I keep missing each other, and I really want to pick her brain about silk. 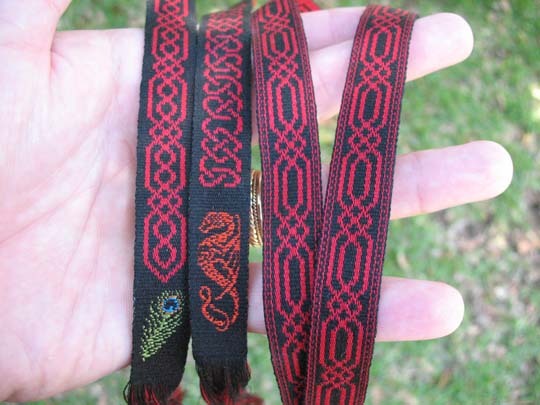 What they want from me, is a workshop that starts on Monday reeling silk, and ends on Saturday with brocaded ribbons. It’s a pretty tall order – but I feel confident that I can do it. It’s mostly all stuff that I’ve taught before (except for the dyeing) – it’s just that usually I’ve taught it in multiple classes instead of one long course. I’d love to get input on my ideas for the class, as well as suggestions for a NAME – I really would like something at least somewhat clever, but it must be clearly descriptive as well. I’m kind of liking “From Cocoon to Brocade,” with the details to be filled out in the description – but just not quite sure. 0 0 Michael Michael2008-07-02 10:39:002008-07-02 10:39:00Help with Naming a Class, Also, Ideas!